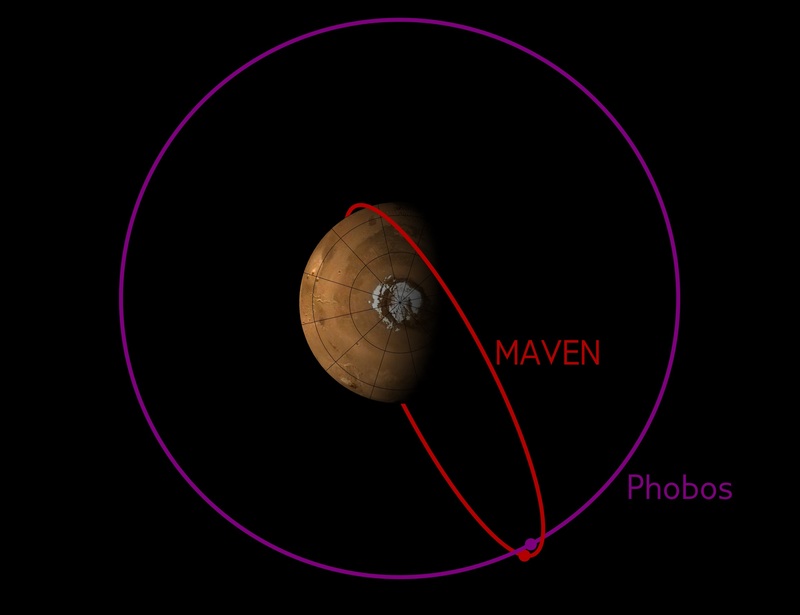 The Mars Atmosphere and VolatileEvolutioN (MAVEN)spacecraft has been orbiting Mars for just over two years, studying the Red Planet’s upper atmosphere, ionosphere and interactions with the sun and solar wind. On Tuesday the spacecraft carried out a rocket motor burn that boosted its velocity by 0.4 meters per second (less than 1 mile per hour). Although a small correction, it was enough that — projected to one week later when the collision would otherwise have occurred — MAVEN would miss the lumpy, crater-filled moon by about 2.5 minutes.